I know of a company a million times smaller than FGV which is still taking care of one of its employees who suffered a stroke nearly two years ago. Sabri Ahmad, who was not just an ordinary employee of FGV, has suddenly taken gravely ill. His medical bills would not cost Felda a thousand trees in Papua New Guinea. Even if it does, so what? It's goodwill, compassion, human/e. Sad case. Most companies or CEOs would have agreed to at least cover his medical expenses. Even some companies I have worked for have offered to pay for operations not covered by insurance. But people like you are the ones cheering him and his likes on! I heard Sabri Ahmad put a stop to the proposed acquisition of New Britain plantations off Papua New Guinea. It was said that Isa Samad, Emir Mavani and a member of FGV investment committee P S Lim should hv walked away with a cool USD10m ea, had FGV got sucked into acquiring the plantation almost double more than what Kulim paid for 2-3 years ago. You see, Isa, Mavani and P S Lim is sitting on a corporation with over RM 3.85b of cash. Of course they are on the mode of buying spree, like the hotel in London. No planter in the right frame of mind would pay RM140/share price at 30.7PE for a plantations share, like in the recent Pontian Plantations. Especially when one as an UMNO aspirant bought that so expensive from a DAP Adviser for Life Dr Chen Man Hin. PETALING JAYA (Sept 18, 2013): Felda Global Ventures Holdings Bhd (FGVH) has succeeded in its RM1.2 billion bid for unlisted Pontian United Plantations Bhd, securing 98.81% of the latter as at last Friday, despite earlier reports which poured cold water on the deal. In a filing with Bursa Malaysia yesterday, FGVH said it has sent a notice to shareholders to inform them that it received valid acceptances of not less than nine-tenths of the Pontian shares as at Sept 13, 2013, enabling it to compulsorily acquire the remaining shares. FGVH has extended the closing date of the offer from yesterday to Oct 1, 2013. The offer details remain unchanged. FGVH on July 18 this year launched a voluntary conditional takeover offer for all Pontian shares, offering RM140 for each share. Given the fragmented shareholding structure of Pontian, with over 30% of the company’s shares held by four different shareholders, market analysts were not optimistic that the deal would go through. Isa and Mavani is just devouring FGV, for their personal gain. Good of you and BD to highlight this crook! My late wifes company deducted her excess medical bill from her gratuity after she had passed.To me, this was taking money from a dead person. Do employees fall like dead flies everyday? But the irony is that, the decision to deduct is made, by a fellow human being. This was way back in 1988 man! Sobri was paid $16 m rgt when he retire from FGV. This money is enough to pay for his madical bill for the next 16 years. I think,once he retire,the company have no more obligation to pay for his madical bill.FGV is a public co and not a cooperative co. The board of directors are accountable to their shareholders and not the bloggers. one commentor said he received RM15 million as a golden handshake from FELDA. a late friend's total medical bill for a one year treatment of his blood cancer cost his family close to RM200k, though he passed away eventually. im not being heartless, but the golden handshake money should be able to cover his medical treatment. Typical trait of short, ambitious men, Heartless! 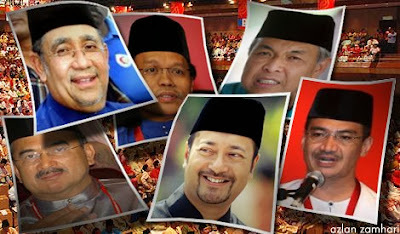 ISA SAMAD ni patut di halau dari UMNO. bagaimana Felda boleh beli 130 juta saham syarikat Cina Iris? Bukan saja tinggi dari harga Bursa tapi tidak masuk akal. Begitu juga beli hotel 98 juta di Sabah. Apa ni? Felda dan FGVH adalah land distribution agency kenapa pula masuk tourism,hotel dan Iris? Bayangkan UMNO kayakan Cina melalui Pontian Plantation? Tangkap je india Emir Mavani dan Isa Samad! Najib Mana Kau? Kenapa biarkan UMNO kayakan Cina lagi. Isa Samad tak tahu ke kita orang Melayu nampak korupsi dia? What is the point of writing articles BUT there is no action....actions speaks louder then words, although the saying "the pen is mightier then the sword"...in Malaysia we need the sword very very badly....as these f! @#$%^ have the the police and justice system bribed to the maximum!!!! For once you are showing that you are a compassionate a human being and not a lackey ! I am in full support of your compassion and whatever you are advocating for.